Gmunden, Upper Austria is a town in Austria. It is home of 13,204 population and still growing. 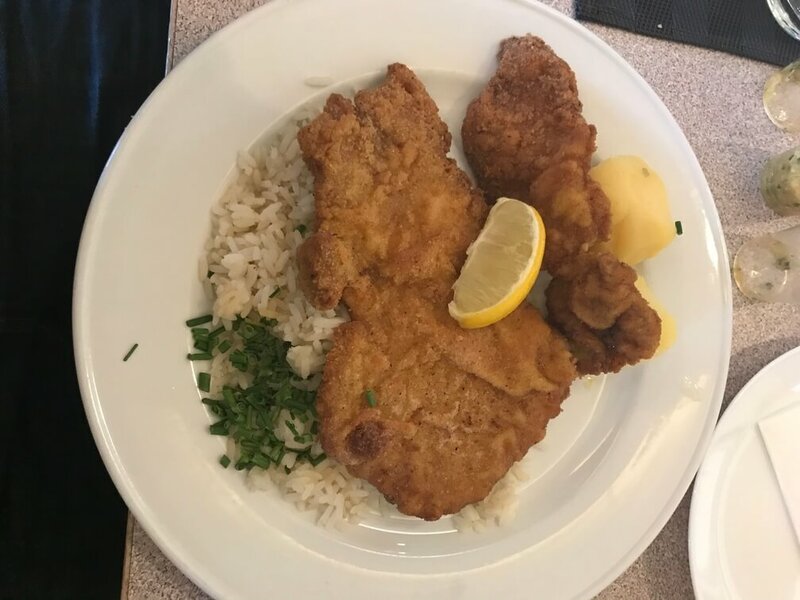 We take a bus ride from Vienna to Gmunden, but before we arrived in Gmunden, we visit one of the best restaurant, we ate the popular local delicacies called “Schnitzel” and “Debreziner mit Semmel” (See below image, I am not sure if I typed correctly). Schnitzel is a popular food in Austria were meat was pounded and tenderized, add a crumbs and pan fried. The food is really delicious and popular. Most of the restaurant in Austria served this food. 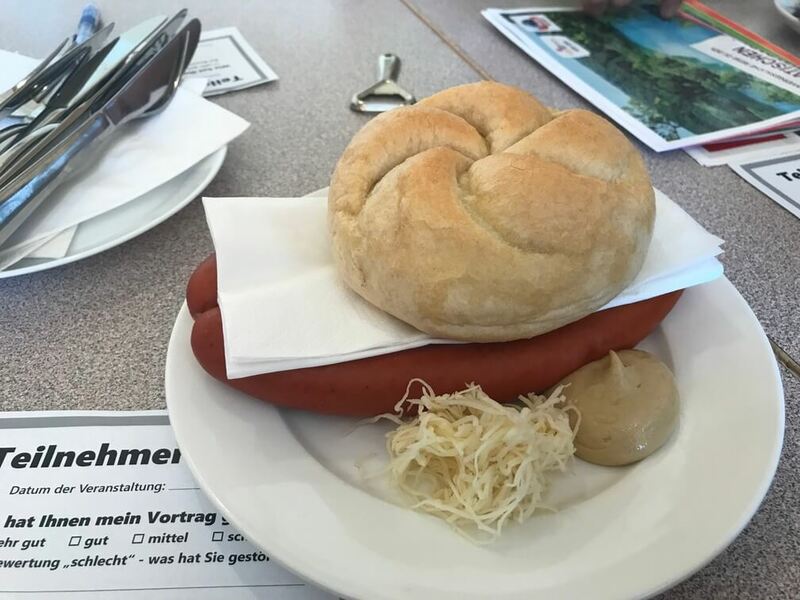 The Debreziner mit Semmel is a popular hotdog in Austria, it includes a bread and a spicy which the taste resembles like a Wasabi. Thank God, Archievald really loves wurstel or hotdogs. This is one of the best hotdog I ever ordered. Their spicy is really great, too bad I cant find these one in Italian supermarket so I have to travel to Austria to buy these one. 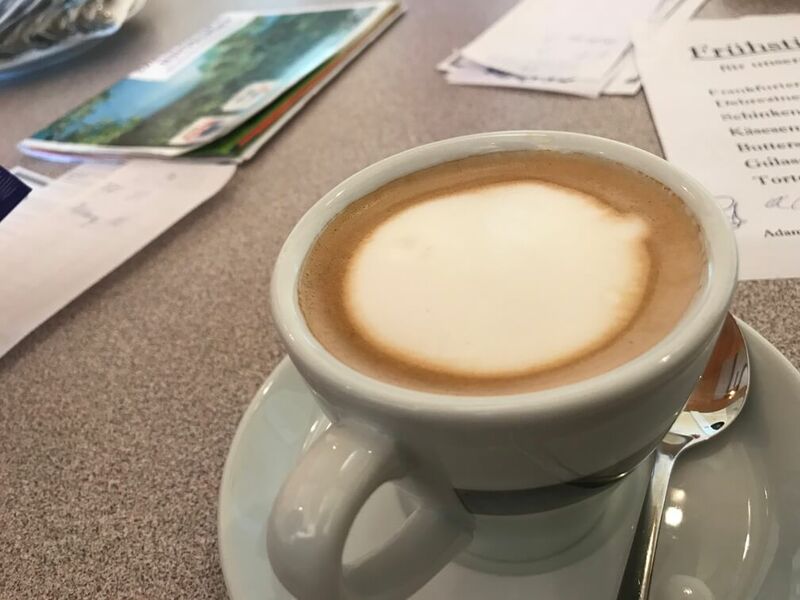 Archievald also tried “Melange”, a popular coffee in Austria. The taste is similar to Cappuccino with addons like chocolate. Gmunden, Austria is so clean and fresh air. 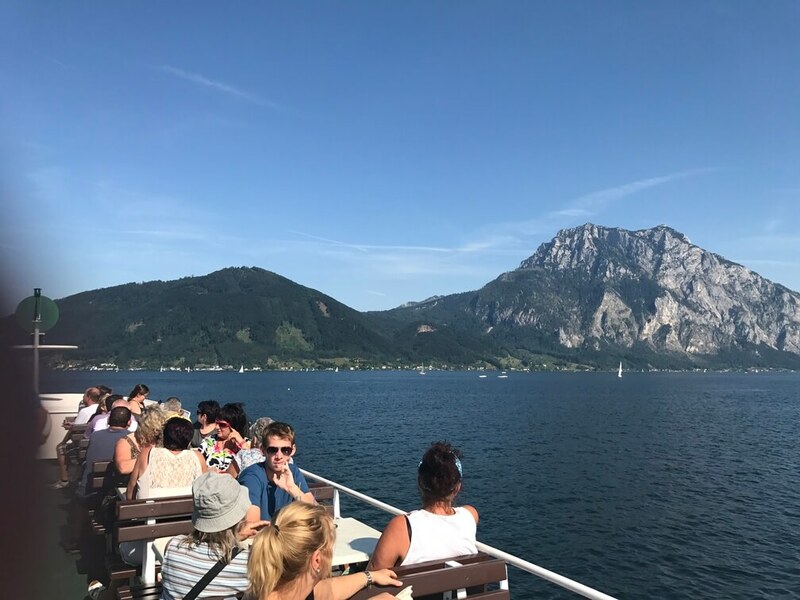 When Archievald arrive in this wonderful town in Austria, Archievald’s first impression are lots of beautiful mountains, clean lake, and most notable is fresh air. 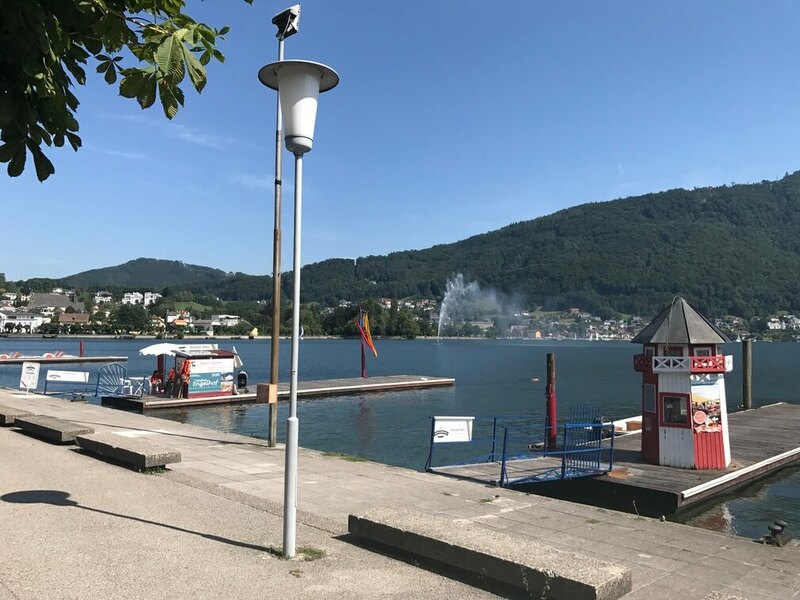 There’s also a lot of senior citizen who travel in this splendid town because of the belief that staying in Gmunden will promote your health and well-being. 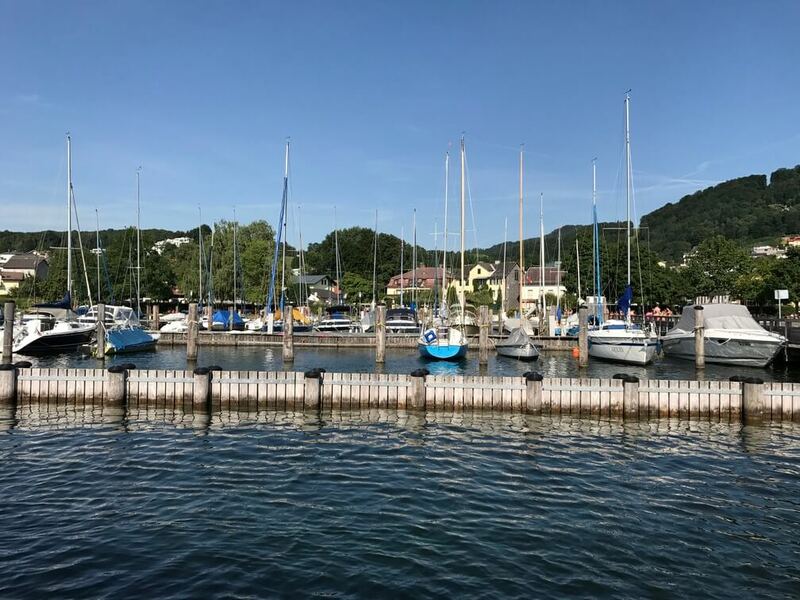 Gmunden, Austria is famous in sea sight-seeing, boat ride, and yacht-riding. 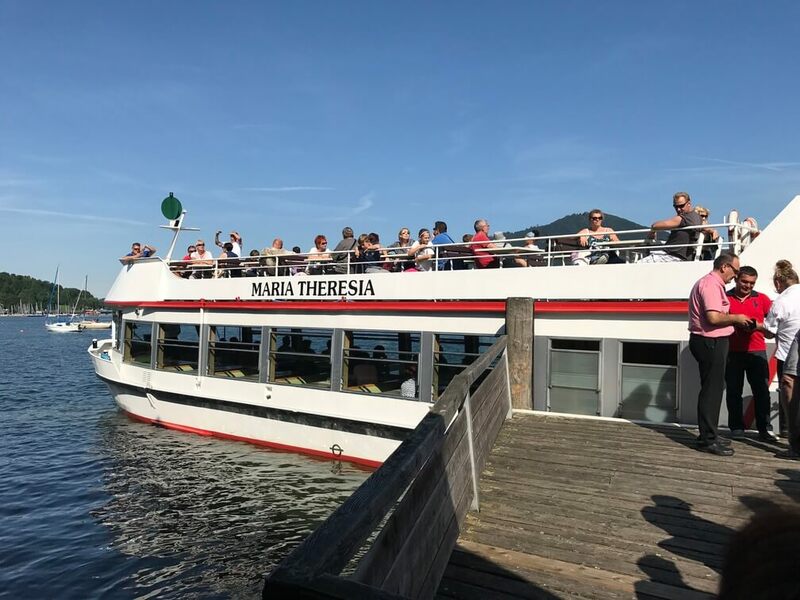 We also ride in a travel boat called “Maria Theresia” inside of this travel boat have a bar, a tables, a water closet, and the upper deck that give you a better view of Gmunden. The boat travels from one point-to-point, we are astound that the boat ride is free! We oversee the whole shore of Gmunden, Austria. 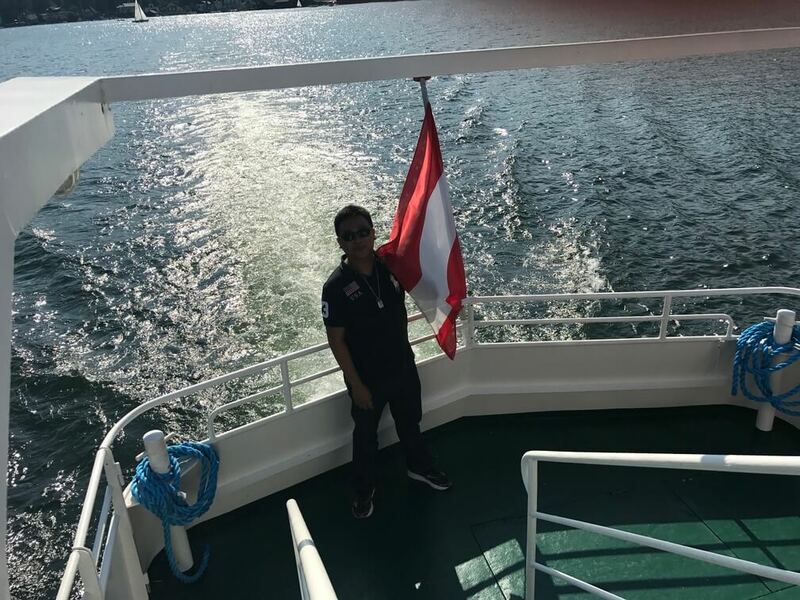 Archievald stayed in upper-deck to see the beautiful sea-shore and sea-port in Gmunden, Austria. Gmunden is a small town but enough experience that you won’t forget. 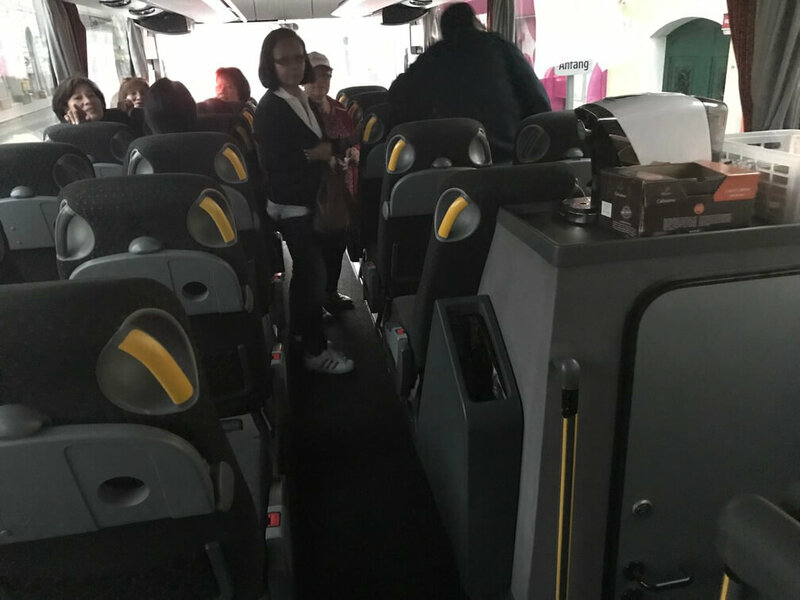 It only cost us €6.00/person (as of 2017) from Vienna via bus, cheap and one of the best experience. This town was unheard outside Austria, it is not really famous for non Austrian, but once you visit Austria, you will hear about this beautiful town from local people. We highly encourage you to eat the local food, take a pic of the beautiful scenery, take selfie if you wish and respect the town, please don’t litter the town. Visit Gmunden and have a nice and wonderful vacation. Check out my picture below. I’m holding an Austrian flag behind “Maria Theresia”. It’s one of my best experience is to meet some Austrian and some foreign. Archievald won’t forget these wonderful experience to travel in some parts of Europe. So if you have a chance to travel, travel now!